For many in Britain, enjoyment of our tea is a sacred and time-honoured tradition. The same can be said for the people of Japan – who hold up the precious product with reverence and respect. Made from a variety of locally grown teas, the beverage is the most popular drink in the country. But more than just refreshment, a portion of Japan’s culture is dedicated to the enjoyment of tea. And the enjoyment of a good cuppa is a practice many foreign tourists can embrace whilst on a tour of Japan. To better understand just how much the Japanese love their tea, let’s take a deeper look at the varieties, products and traditions all dedicated to tea. The primary type of tea grown in Japan is green tea. Brought to the island from China nearly a millennium ago in 1191 as part of the spread of Zen Buddhism, Japanese green tea is known for its “leafy” taste thanks to the steaming process. A delicate tea, Japanese varieties are put into different categories based on the age of the leaves. Green tea is well-regarded for its health benefits, including some indication it improves brain function, stimulates fat loss, and may lower the risk of developing certain types of cancer. Sencha is the youngest harvested leaf and the most common variety of Japanese green tea. When travelling to the country, you are most likely to encounter Sencha-based drinks. The tea is best described as having a slight sweetness and a flowery aroma. It is loaded with nutrients – specifically with amino acids, sugars and catechins to enhance its flavour. This type is considered the pinnacle of Japanese tea. It is made only with the first flush leaf from the plant. Going through a special process, the resulting variety of tea has a sweet and mild flavour. Growers say that Gyokuro’s sweetness is due to the high levels of theanine, a compound that comes from keeping the plants away from direct sunlight just before harvest. As the year goes on, Bancha tea is picked in the summer and autumn. It refers to a lower grade of Sencha. Compared to Sencha, it is less aromatic, but it is loved by many for its robust flavour. It is a favourite paired with a number of Japanese foods. To produce this variety, Bancha is roasted over a high heat. After the process, the tea has a refreshing, toasty taste with little or no bitterness. Unlike the other types of Japanese tea, Hojicha has a distinct reddish-brown appearance in the cup. The tea is extremely popular in the evening as it has lower caffeine content. There are so many other variations of Japanese tea available. To learn more, or even order some Japanese tea for your next cuppa, visit Kyoto-based tea experts Hibiki-An for more information. Green tea is directly connected to Japan’s food culture. There are countless products on the shelves made with green tea – including sweets, ice cream and biscuits. People drink tea at all times of the day. Tea and its many related products are found in Japanese restaurants, street-side kiosks, High Street shops, and supermarkets. Like tap water in many Western countries, tea is often offered in restaurants for free with a meal. Other restaurants offer self-service tea for free as well. Green tea is often served with or at the end of a meal for free. 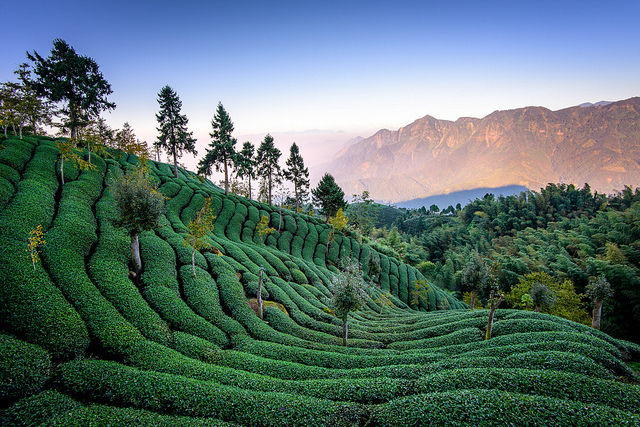 At some tourist destinations – like temples and gardens – tea is provided to tourists to enjoy. And, in most Japanese tea rooms, the warm drink is often included in the price of admission. If that wasn’t enough, tea is found in hundreds of the vending machines all over the country. They can be found in hot and cold tea varieties, but that usually depends on the time of the year you are visiting the country. 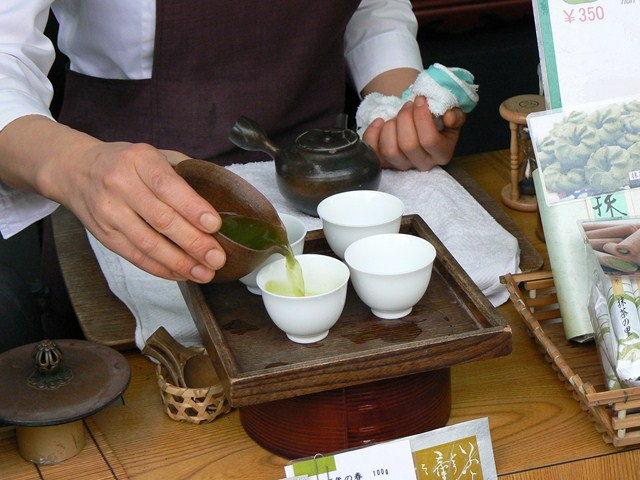 Green tea is also the central element of the nation’s revered Tea Ceremony. 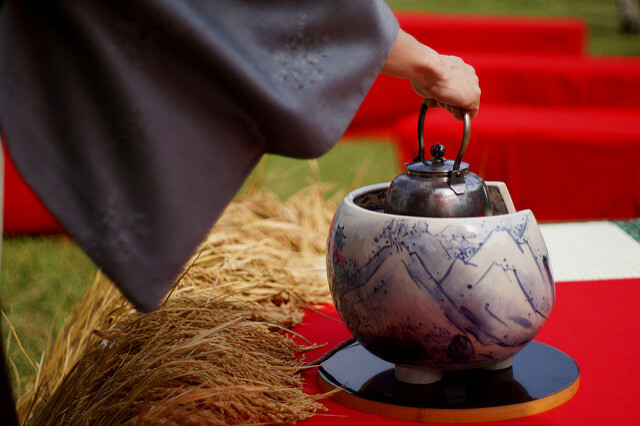 One of Japan’s most enduring traditions, the ceremony grew out of the places and regions in the country’s most well-known places for tea growing, including Kagoshima, Shizuoka, and Uji. Japanese Tea Ceremony history goes back to when the tea was brought from China by Japanese priests and consumed only at temples for religious purposes. Beyond religion, people enjoying tea in formal and informal gatherings has long been part of their society. 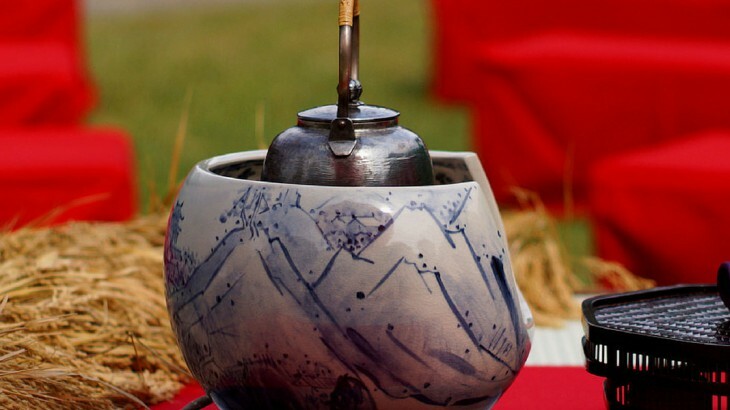 Since Japan’s medieval period, people in Japan have gotten together to celebrate in tea parties. Over time, a refined ceremony has been developed. Today, there are several types of tea ceremonies. The ritual for them is based on what time of day it takes place, and during what time of the year it takes place. Each involves different traditions and each uses their own refined movements. For locals, many take tea ceremony lessons to learn the movements. 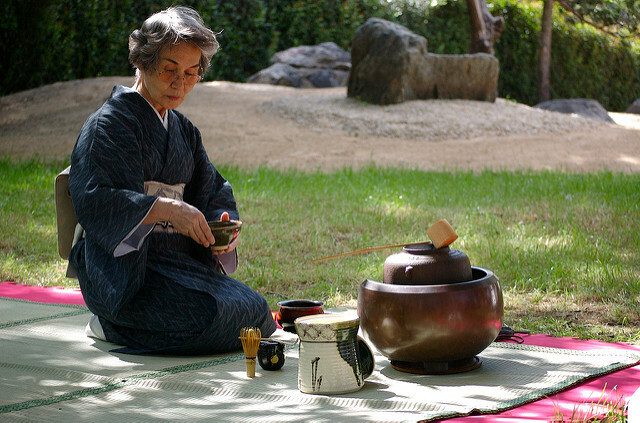 For tourists looking to enjoy tea ceremonies, they are often held in traditional Japanese tea rooms within cultural centres, Japanese gardens, or even in private houses. 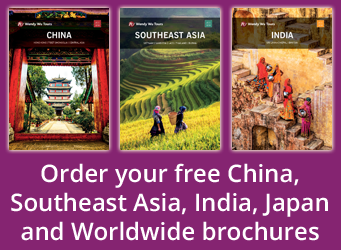 Take a guided Japan holiday with Wendy Wu Tours, the UK’s leading Asia Experts. Our award winning escorted, fully inclusive tours visit all the major sights of Japan for an unforgettable holiday. Japan culture, food and drink, japan news. permalink.